In the neighbor’s backyard stands this beautiful tree, which I can see from our living room window. Thursday morning the sun gave it a golden glow. 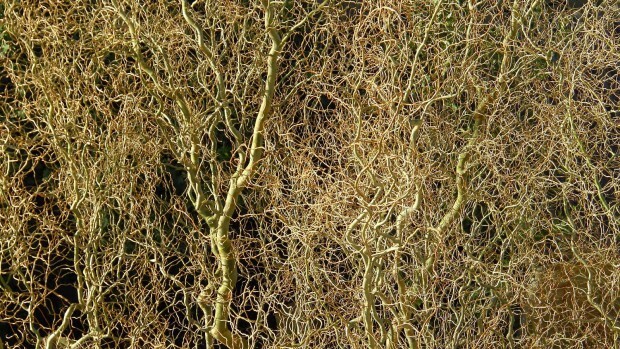 The small branches make the tree look like a wooden nervous system.